Recently CDR came to an agreement with the spanish company TDI for the distribution of the CDR WineLab® analyzers in Spain. 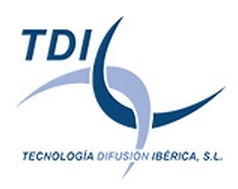 TDI is in the sector of the oenological analysis instruments since 1986 and was ahead of its times on the market of the oenological analytics in its country. TDI headquarters are in Barcelona, where we went for a business meeting, after that both companies had revealed a reciprocal interest. Since ever TDI is engaged in the research, development and improving of techniques and systems able to realize the quality control in real time and to perform the objective measurement of the wine and must samples. Its steady experience in the sector and the quality of services and products make TDI the ideal partner for the distribution of the CDR WineLab® analysis method for wine and must in the Iberian peninsula. Spain represents a very interesting market from the point of view of wine and viticulture: the wine is produced in many different regions, including Castilla-La Mancha, Navarra, Rioja, Valencia – just to mention some of them. In Spain the wine market is made by big and small producers, wineries that are private societies or co-op societies. Spain represents the 15% of the total surface of vineyards in the World, disposing so of a huge area of vines. The agreement made with the TDI’s technicians, Jordi Subirana and Blas Martinez, is active already. That allows to promote to the Spanish wine companies our analysis system for wine and must, opening them a new perspective on the managing of winemaking and of the process quality control, thanks to a rapid and reliable wine analysis. Besides TDI is sponsoring the next Congreso Nacional de Enólogos, the best opportunity to introduce to oenologists and winemakers our analysis system for wine and must, WineLab. New agreements for the distribution of CDR WineLab® in Spain was last modified: May 22nd, 2017 by CDR s.r.l.